There are many reasons to join a professional organization such as SoEI. Membership in a professional organization is an investment in your professional credibility. It's an investment in personal development, and growth. Membership is a way to stay connected to others that share a similar interest but may have very different backgrounds. It’s an opportunity to gain leadership experience in a safe environment. Employers often look favorably upon individuals who participate with professional organizations because it shows you’re committed to your career. Professional organizations provide a long-term benefit of keeping you educated and up-to-date in your field. By joining and participating in a professional organization, you will automatically increase your visibility in the market, develop new relationships and contacts, enhance your résumé and develop new skills. You are invited to submit your membership application and become a member today! We don’t just want your dollars (although every dollar goes to support the work of SoEI and its projects). We want your CONSCIOUS INVOLVEMENT. So, take the next step and become a member of SoEI today. Membership is for one year (1) and expires on your anniversary date (date you joined). Networking and visibility opportunities to expand your reach and EI contacts. Resources, news, and professional development opportunities. Have your book listed in the Resources "Books by Members" section. 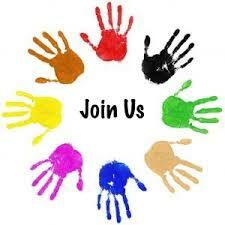 Opportunity to be a Featured Member on SoEI website. Member discounts on professional development programs. Participate in the weekly “Let’s Talk EI”.radio show. Corporate 1: $200 - An organization membership with up to 3 members. Corporate 2: $300 - An organization membership with up to 5 members. A one-time application fee of $10.00 is assessed for each new application that is submitted. Corporate 1: $200 - 3 members. Corporate 2: $300 - 5 members.